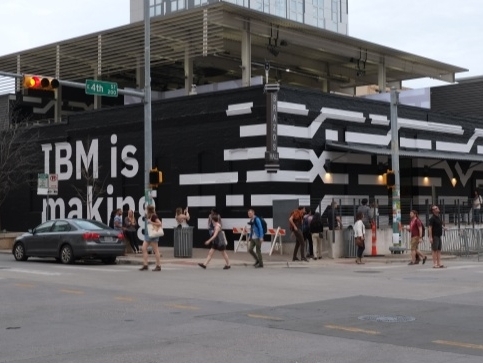 During the hackathon week of my Maelstrom internship at IBM, our team of 10 interns—representing design research, UX design, visual design, and front-end development—was challenged to create an activation for IBM’s 2017 South by Southwest experience. 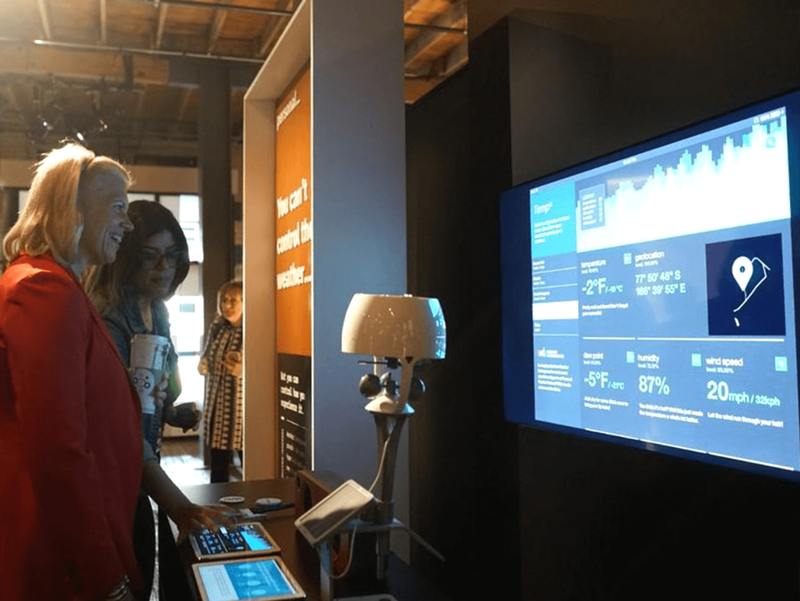 Our project, which would be featured in the personal track of the IBM SXSW exhibit, needed to showcase the capabilities of IBM subsidiary The Weather Channel’s Weather Underground API in a way that made weather exciting and fun. Also, it was due in five days. We approached our initial research from two directions, understanding Weather Underground and defining the exhibit’s target audience. One half of the team mapped out the different features of the Weather Underground API while the other half developed a better understanding of who would be at SXSW and their goals for the conference. After presenting our findings to one another, we decided our best next step considering our limited timeframe would be to focus on one primary user group, developers at SXSW. We created a proto-persona, Stu, a seasoned developer at SXSW looking to stay on top of current technologies, network, and—of course—have fun. From there we built out an empathy map of what Stu was thinking, feeling, doing and saying during his SXSW experience and broke off to brainstorm ideas. Our small group brainstorms and the discussions that followed as we presented and affinitized our concepts led us to pursue the idea of showcasing Weather Underground’s extremely accurate weather forecasts through music. We picked five weather stations—three around Austin and two internationally—from Weather Underground’s network over 250,000 hyperlocal stations and developed an app that mixed unique tracks based on weather metrics from each locale. During this phase, I worked on conceiving the visual style and interface layout for Temp°—a play on our concept’s premise of combining weather and music—as well as creating the copy for changing recommendations for each weather factor. Once Tempo was complete, our “weather DJ’s” were able to change to and isolate music derived from each station’s unique geolocation beat combined with other dew point, temperature, humidity, and windspeed tracks that changed levels depending on the local 10 day forecast. Our SXSW activation let guests interact with Temp° through an iPad interface and hear their changes on an area speaker while seeing them on a big screen TV. It also included a brief overview about Temp°’s conception and a personal weather station just like the ones collecting Temp°’s data. IBM CEO Ginni Rometty trys out Temp°. Temp° went over extremely well during SXSW, exciting visitors from all over the world, including IBM CEO Ginni Rometty. Throughout our weekend manning the station, we had visitors asking about how personal weather stations work, where they could get one, and how they could get information from those that already exist. We also heard from people inspired to create their own experiences with the Weather Underground data or hoping to build on our experience, for example by making a Temp° alarm clock that wakes you up to a soundtrack that helps you understand what to expect from the weather from that day.